This is for major projects or tasks, such as choosing new genealogy software or doing research for a client or maybe getting my desk organized (ha!). The wonderful Thomas MacEntee has shared his Excel spreadsheet with Do-Over participants and also his knowledge, and I thank him very much! The purpose of this is to track your progress and get an idea of how much time you spend doing certain things. You can color code tasks to prioritize them, see easily what needs to be done pronto. I recently mentioned my Life Planner. I might use my Life Planner in place of this Excel spreadsheet; we’ll see. I would like to do a 30-day trial run and see where my time goes. 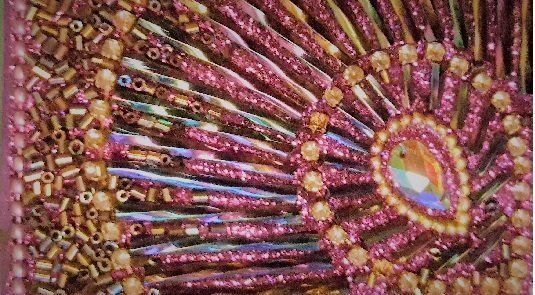 I mentioned this in Week 3, finding it hard to track online searching since I bounce from one thought to another as it strikes me (I’m pretty sure one can literally see light bulbs appearing over my head sometimes!). I can definitely see the value in doing this. I just need to slow down when I search and record where I’ve been. It is true, I have searched different databases more than once for the same person. Per Thomas MacEntee, “An important part of making this work is to build good habits.” So true! I need to take his words to heart. One thing I’ve explored is mind mapping. I reviewed it again this week and realized that is basically how my mind works when online researching, ideas just sprout from other ideas. 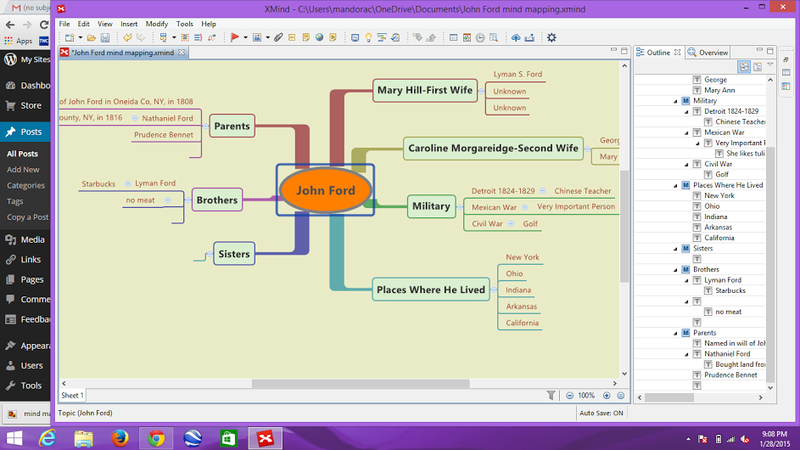 So, I reviewed different mind mapping software and finally decided on the free version of XMind, which I can save to Evernote. Win/win! After I took that screen shot, I played around with it some more, rearranging items. That’s a basic map; there are many different styles you can choose from. Very interesting and fun. Time to start week #5! Oh, if you’re interested in joining the Genealogy Do-Over, it isn’t too late…go to the Facebook page. A lot of great helpful info from a lot of experienced folks! ETA: Laughing out loud over here! I just realized that in the second picture there are some odd words associated with my ancestor, such as golf and Starbucks! I used a template and those words were nested in the template. I have since removed them. I also gave John’s parents their own tabs. 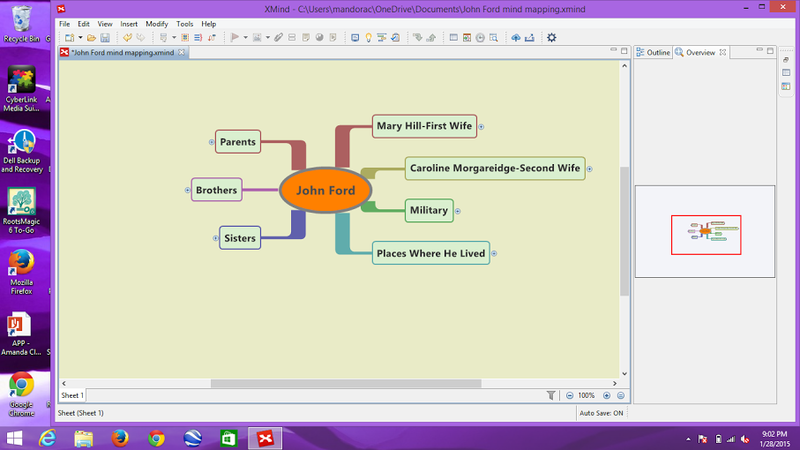 When I add more of what I know about John and more about where I want the research to go, I’ll update another screen shot. Still smiling over Starbucks! !